Very Good. 0049421972 Plastic wrapper supplied in archive acetate film protection that is not adhered to the book. Dispatched within 2 business days. NEW. 9780415749909 This listing is a new book, a title currently in-print which we order directly and immediately from the publisher. For all enquiries, please contact Herb Tandree Philosophy Books directly-customer service is our primary goal. New. Brand New! Ships next business day! Good. Ex-Library This is an ex-library book with the usual markings. Otherwise, the hardcover book is very good with sheflwear. There is no dust jacket. A nice example of a scarce book. New. 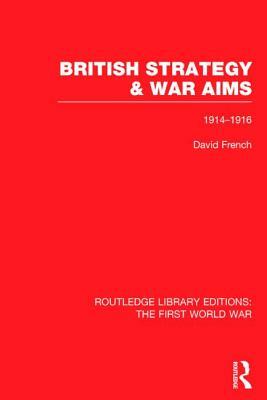 286 p. Routledge Library Editions: The First World War . Intended for college/higher education audience.